Buy, Sell or Lease, we are here to help! We successfully bring together the proper market knowledge, financial expertise, and integrity that are critical for success. Our team of real estate experts take great pride in its ability to draw from past and present successes, while paving the way onward as innovative industry leaders. This “tradition of forward thinking” motivates us to stay on top of current market trends and conditions, and to communicate them to our clients in ways that are meaningful, and truly have an impact. Brokerage: Acquisition of commercial real estate properties, corporate site selection, in-depth market data, real estate investment analysis and buyer/tenant representation. Due Diligence: Management and analysis coordination of appraisals, surveys, environmental studies, geo-technical testing and inspections. We identify and model the subject property that is positive in the market place, as well as test upside potential through historical management analysis to determine the areas of improvement. Equity: We prepare the underwriting for equity partners as well as walk the opportunity through all stages of financing. Finally, we negotiate the most favorable equity arrangements to ensure capital preservation while maximizing returns. 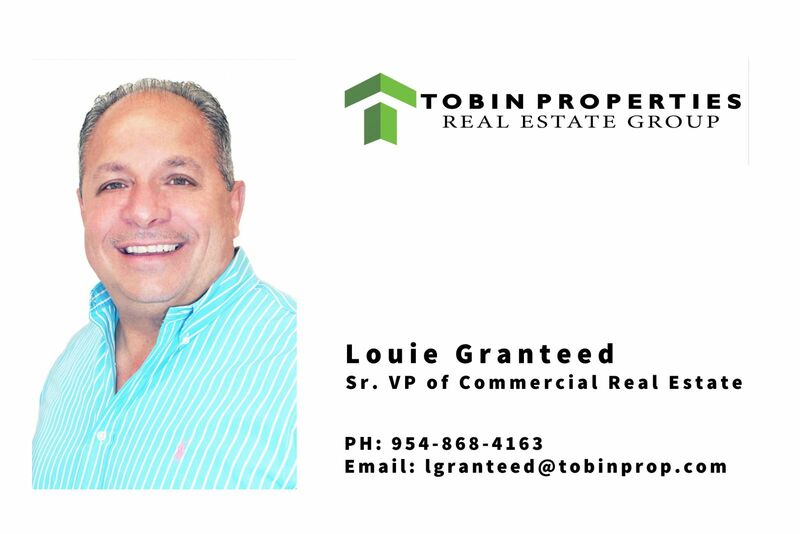 Financial Analysis: Tobin Properties leverages a comprehensive financial analysis coupled with our strong market knowledge to provide a sounding board for solid real estate acquisitions. With our proven track record and industry expertise, Tobin continues to provide clients with advice in lucrative acquisitions/dispositions. Knowledge of Various Property Types: We have a thorough understanding of all commercial and residential property types and leases, including Retail, Office, Medical, Multi-family and Industrial, and are well-versed in the necessary negotiations involved with each. Lease Negotiations: Our Senior Certified Leasing Specialists (SCLS) have negotiated millions of square feet of leases for hundreds of clients and the experience has produced a strong lease form that continually benefits our clients. Substantial Client Base: Our significant client base equates to a vast supply of commercial leasing opportunities, both for investors and business owners alike. Updated Market Trends & Conditions: We receive and provide to our clients readily-accessible and available, up-to-date market trend information, which is essential for calculating lease terms and projected earnings. Call us today to schedule an appointment 954-843-7207.